New smoking prevalence statistics from the latest Global Youth Tobacco Survey (GYTS) in Ukraine were released on 15 November 2018, the International No Smoking Day. The new data were presented by the Ministry of Health of Ukraine, the WHO Country Office in Ukraine and the NGO Advocacy Center “Life”. The GYTS is a school-based survey designed to enhance the capacity of countries to systematically monitor tobacco use by youth and to facilitate the implementation of Article 20 of the WHO FCTC (Research, surveillance and exchange of information) among the Parties. In Ukraine, this is the third time the GYTS was conducted (2005, 2011 and 2017). The findings of the third wave of GYTS indicate a substantial decline in tobacco use and second-hand smoke exposure among adolescents. The prevalence of smoking among those aged 13-15 years decreased by 4.4 percentage points from 2011 to 2017 and by 11.1 percentage points from 2005 to 2017. The percentage of adolescents exposed to second-hand smoke at home decreased from 70.1% in 2005 to 20.5% in 2017. 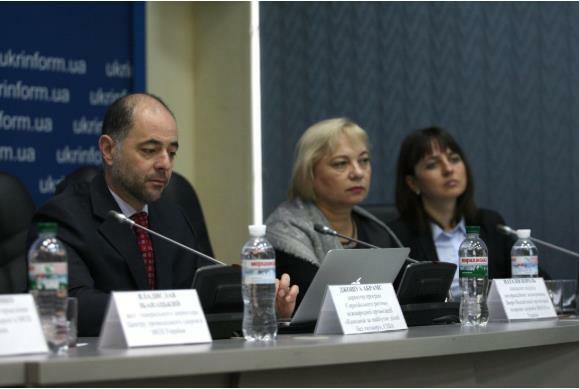 The remarkable progress Ukraine has made in reducing tobacco use is the result of successful implementation of the WHO FCTC provisions, including the adoption of laws and regulations on tobacco use in public places, health warnings and tobacco taxation. Despite the achievements, still around 17.8% of boys and 12.1% of girls are current users of any type of tobacco products. At the same time, overall 18.4% of students currently use electronic cigarettes (electronic cigarette is not included in the definition of any tobacco use), and the percentage of students who use smokeless tobacco has almost doubled within the last 12 years. These findings call for further strengthening the control of tobacco products, especially emerging products among minors, through new regulations. The anti-tobacco draft law No. 2820, aiming to ban the promotion and sale of e-cigarettes to children and the sale of flavored cigarettes, will be an effective instrument when adopted. The full GYTS report can be found here.